Unfortunately, we still have another whole month until our prayers have been answered and Lovely, Little, Lonely is released, but The Maine feels our struggle and has released a new track to help us cope. Check out “Black Butterflies and Déjà Vu” below! It's hard to imagine that a band can be busy before their world tour, but The Maine have been doing just that. In late January, the band headlined the very first ever 8123 Fest along with The Summer Set, The Technicolors and more. 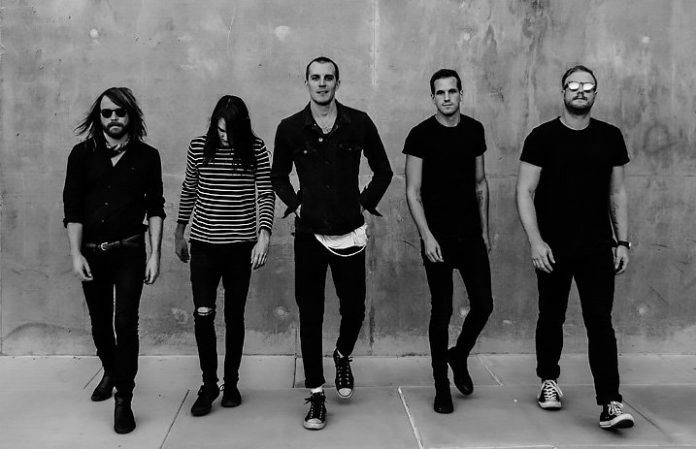 On that Thursday before the festival, The Maine announced their sixth album along with releasing their first song from the album. Of course, The Maine couldn't leave it at that though and also announced a world tour that would happen later in the year. They've also released a series on Youtube entitled Miserable Youth showing a behind the scenes look as they worked on the album that's bound to be one of the best of 2017. The band has done all of this all before they start the Lovely, Little, Lonely World Tour in just a couple of weeks. The Maine teased the new song on Twitter and it's been a hard 24 hours to wait, but it's finally here. Listen to “Black Butterflies and Déjà Vu” below and tell us what you think!